Two-time GRAMMY-nominated and six-time Dove Award-winning artists Jeff and Sheri Easter are scheduled to appear on the Grand Ole Opry on Saturday, August 4 for two shows at 7 and 9:30 p.m. 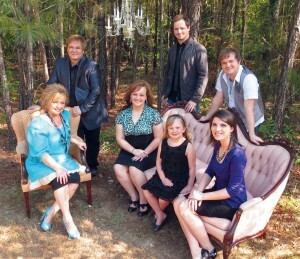 These gospel music family group mainstays will be premiering songs from their upcoming release Eyes Wide Open (Spring Hill Music) which will hit streets on September 18. They will be performing with other artists, including Carrie Underwood, Little Jimmy Dickens, Jeannie Seely, Jim Ed Brown, Jean Shepherd, Bill Anderson and many others. To learn more about this week’s Grand Ole Opry shows, visit http://www.opry.com or call 1-800-SEE OPRY. “THE CMA AWARDS VAULT:” COUNTRY MUSIC’S BIGGEST NIGHT! NASHVILLE – The glamour, history, backstage stories, and memorable moments from more than 40 years of the annual CMA Awards, “Country Music’s Biggest Night,(tm)” are collected in a new, unique book, The CMA Awards Vault, now available nationwide. Author Deborah Evans Price traces the show’s 43-year run from a one-hour, radio-only broadcast in 1967 to the glittery three-hour, network television spectacle of today. 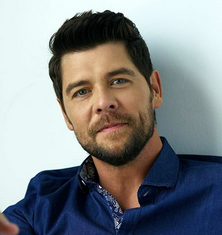 Evans Price interviewed dozens of Country Music’s biggest stars, from Sonny James, the host of the first “CMA Awards Banquet and Show,” to Brad Paisley and Carrie Underwood, who will host “The 44th Annual CMA Awards” for the third time in November. In the process, the author takes the reader behind the scenes and recalls the greatest performances, the famous – and sometimes infamous – fashion trends, and the art of putting together a top-rated network gala. “As someone who grew up watching the CMA Awards, and was then privileged to go to the Awards for the past 25 years, I couldn’t think of anything that would excite me more than doing a book on the institution,” said Evans Price. What really sets this book apart from other Country Music histories, however, is the unique “scrapbook” approach. 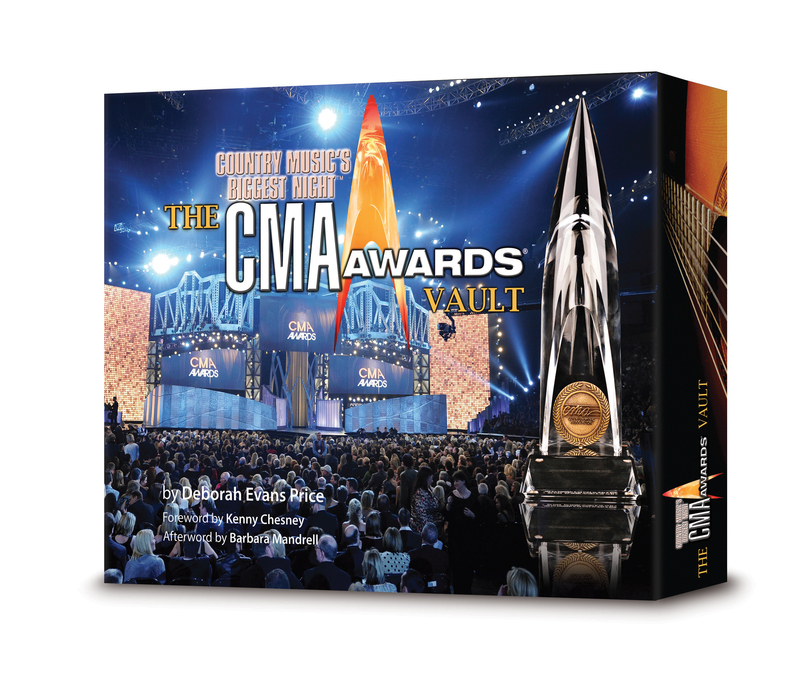 The CMA Awards Vault contains never-before-published photographs, artwork, and memorabilia. Tucked into dozens of pockets throughout the book are replicas of such items as a program from that first CMA Awards in 1967; a note to the CMA from the Charlie Daniels Band in 1980; a ticket to “The 40th CMA Anniversary” show; and the set-design blueprint from the 2009 CMA Awards. No Country Music fan should be without this “home archive” of the history of “Country Music’s Biggest Night.” Graced by a foreword by four-time CMA Entertainer of the Year Kenny Chesney, The CMA Awards Vault is published by Whitman Publishing, LLC, of Atlanta. The 144-page hardcover 12-inch by 10-inch book with slipcase is available for $49.95 in bookstores and online retailers. The book can also be ordered at www.CMAawards.com and www.WhitmanVaultBooks.com. CMA members can purchase the book for $35 at www.CMAawards.com or at the CMA office. “The 44th Annual CMA Awards” will be broadcast live from the Bridgestone Arena in Nashville on Wednesday, Nov. 10 (8:00-11:00 PM ET) on the ABC Television Network. Tickets for the 2010 CMA Awards are on sale now and can be purchased by logging on to www.ticketmaster.com; calling (800) 745-3000; or in person at the Bridgestone Arena box office, 501 Broadway (corner of Fifth Avenue and Broadway), Nashville. Ticket prices begin at $110 for Upper Level. All ticket prices include sales tax, but exclude applicable service/handling fees. Purchase tickets early for best available seats. In 2009, the CMA Awards sold out in advance. Visit CMAawards.com for information on Awards nominees, past winners, highlights, games, merchandise, and more. Join the CMA Mob, sign up for CMA Exclusives, and visit CMA’s Facebook, Myspace, Twitter, YouTube, and other social network sites. The CMA Awards nominees and winners are determined by the 6,000 industry professional members of CMA, which was the first trade organization formed to promote an individual genre of music in 1958. The first “CMA Awards Banquet and Show” was held in 1967. The following year, the CMA Awards were broadcast on NBC television for the first time – making it the longest running, annual music awards program on network television. The show aired on NBC through 1971 and on the CBS Television Network from 1972 through 2005 before moving to ABC in 2006. 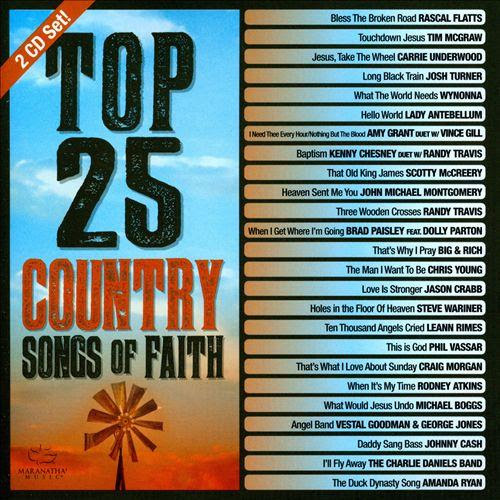 “The 44th Annual CMA Awards” is a production of the Country Music Association. Robert Deaton is the Executive Producer, Paul Miller is the Director, and David Wild is the writer. The special will be shot in high definition and broadcast in 720 Progressive (720P), ABC’s selected HDTV format, with 5.1 channel surround sound. Posted in awards | Comments Off on “THE CMA AWARDS VAULT:” COUNTRY MUSIC’S BIGGEST NIGHT!